Audioboom / 112. Bareilly Ki Barfi, Haseena Parkar, Qaidi Band & Jab Harry Met Sejal Trailer Reviews, Mahira Khan & Ranbir Kapoor Dating and Nawazuddin Siddiqui vs Colorism! 112. Bareilly Ki Barfi, Haseena Parkar, Qaidi Band & Jab Harry Met Sejal Trailer Reviews, Mahira Khan & Ranbir Kapoor Dating and Nawazuddin Siddiqui vs Colorism! Thanks Qaniat for joining this week's episode! You can find her on her socials below. Don't forget to subscribe to us on iTunes and leave a review and rating! 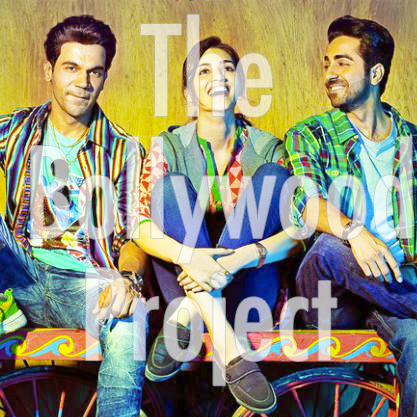 Like us on: https://www.facebook.com/TheBollywoodProject/ for more updates! That's also where we put all new videos, pictures, and updates about the latest Bollywood news! 113. Lucknow Central Trailer Review, tons of song reviews, Priyanka Chopra is making an American ABC TV Show & Deepika Padukone's PR team in overdrive! 115. Jab Harry Met Sejal Movie Review, Bhoomi, Simran, and Baadshaho Trailer Reviews, Dulquer Salmaan in Bollywood!, and CBFC changes!